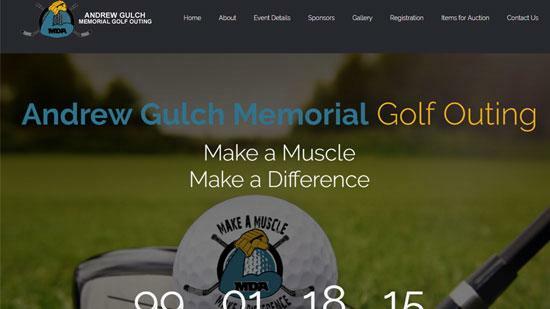 Toledo Graphics is proud to announce that we have partnered with the Andrew Gulch Memorial Golf Outing, which raises proceeds to benefit the Muscular Dystrophy Association. The site is the first for the outing, and according to the outings founder, Jon Gulch, the website far exceeded any expectations he had. Mr. Gulch was thrilled with the work Toledo Graphics has done for his outing, and the company is proud to be a part of such a worthy endeavor.